As the creator of the Sime~Gen Universe, Jacqueline Lichtenberg has won the hearts of many fans. It is no surprise, then, to learn that Jacqueline had her own beginnings in Fandom. But before we get to that we must tell a story that Jacqueline has told us on how she became a novelist. When she quite young Jacqueline had an interest in writing. 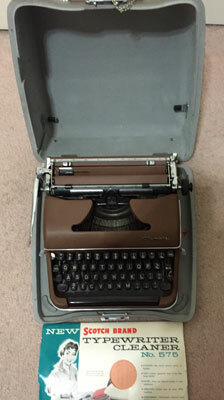 Her father, who was a great influence on her and very encouraging of his precocious daughter, bought her the first portable style of typewriter. And thus began a wonderful career - mostly created in her fertile imagination. Star Trek grabbed at Jacqueline the way that her own Sime~Gen universe has grabbed at her own fans, including fellow author and collaborator Jean Lorrah. Jacqueline was founder of the Star Trek Welcommittee and primary author of "Star Trek Lives!" While we could write about Jacqueline's connection with Star Trek for many pages, this site is dedicated to her own Universe, and we must attempt to stay there. However, one more aside is called for. Jacqueline is the creator of the term Intimate Adventure for the newly identified plot archetype, winner of the Galaxy Award for Spirituality in Science Fiction and the first Romantic Times Awards for Best Science Fiction Novel. For many years, she headed the Science Fiction Writers of America Speaker's Bureau and is a veteran public speaker. Writing her first Sime~Gen book (House of Zeor, published in 1974) it is doubtful that she could have possibly imagined she would still be working in that Universe four decades later. The future of Sime~Gen looks strong, with more books being written, a graphic novel in the works as well as an adventure Game for iOS in the planning. I read the first published Sime~Gen book in 1974, a few months after its release. I did not even have to read one word of the book to know I wanted to read it. Something about the cover image was enough for me to buy the book. I was less than half way through when I was totally hooked. I was already identifying with the characters, especially with the tentacled Sime, Klyd. The stories set in the Sime Gen universe are more than just science fiction. They are personal stories of individuals and communities struggling with and doing their best to overcome overwhelming circumstances and trying to reunite the human race. I found that the internal and external troubles resonated with me and proved a powerful analogy to my own life. At ten my grandmother died sleeping beside me and It was something I could never talk about until I read that first Sime Gen book. Thanks to the writing of a deeply powerful human story I was able to tell my story to someone else. For this alone I will always be grateful to Jacqueline Lichtenberg. Some years later I found the Sime~Gen webpage and other fans and fan fiction. I had thought I was the only one in Australia! Through the role playing forum that was happening at the time I found a true friend who identified as Gen. She too used Sime~Gen as an analogy to life and we became best friends. In Sime~Gen parlance we became Channel and Companion, and we have been together ever since. It has been thirty six years since I read my first Sime~Gen book and each time I read them I get something new, something different, and something meaningful from each story. With every re-read my connection deepens with the struggles of the characters, and strength needed to push through and do the best they can to survive and make the world better for others. Thank you Jacqueline, and Jean, for without Sime~Gen my life may have turned out different, and not so positive.